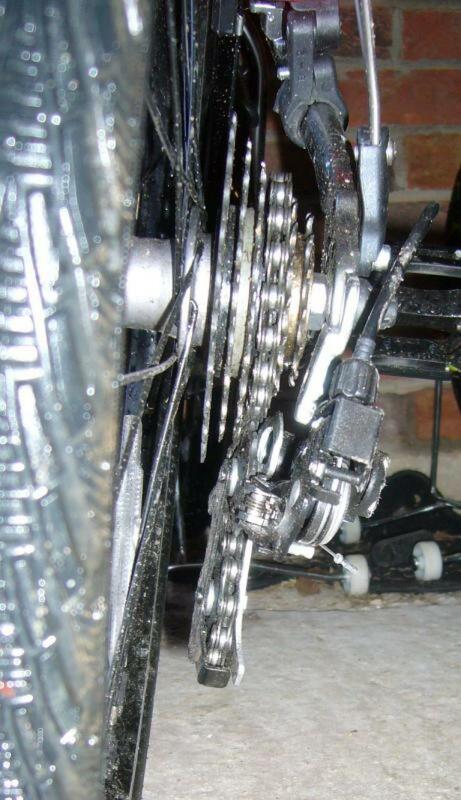 This is a bent rear mech. It is on an Isla Beinn (6-speed), and it is actually the 'sacrificial' alloy piece between the frame and derailleur that is bent. Isla Rowntree kindly sent a few of these pieces as spares. I also took the precaution of swiping a rear mech cage off an old bike, to at least try and prevent the problem recurring.